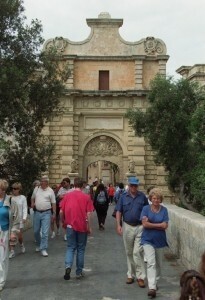 A number of new flights to Malta make the island more accessible for holidaymakers, it has been noted. According to the Malta Tourism Authority, a number of carriers are set to add flights to the island, which is in the Mediterranean Sea. Ryanair, BMI Baby and Air Malta are all due to put flights from the UK to the republic on their schedules for 2010, which could be of interest to holiday insurance customers looking to jet off for a summer break. Director of the Malta Tourism Authority for the UK and Ireland Alex Incorvaja said that the destination is popular with Brits due to its history, culture and "breath-taking beauty". As well as this, the island is perfect for an active break involving rock climbing or hiking, he said, which could mean that checking their travel insurance policy is wise for Brits. According to figures from On the Beach, there has been a rise in the number of sales of holidays to destinations offering winter sun. Published by World First Travel Insurance - providers of worldwide travel insurance for all types of holiday, over 65s travel insurance and great family travel insurance. Get in touch for competitive travel insurance quotes today.